Baking Chocolate Exchange Shop can be found Here! 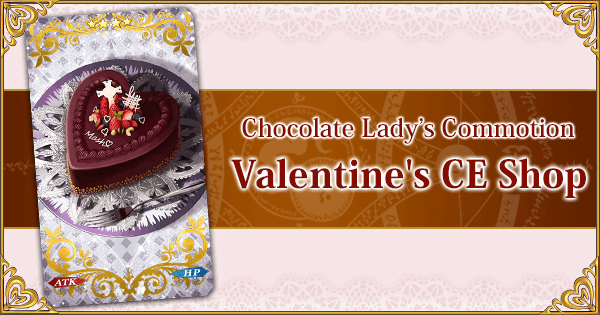 Valentine Chocolate CEs can be obtained from female Servants, while Valentine Return Gift CEs can be obtained from male Servants. 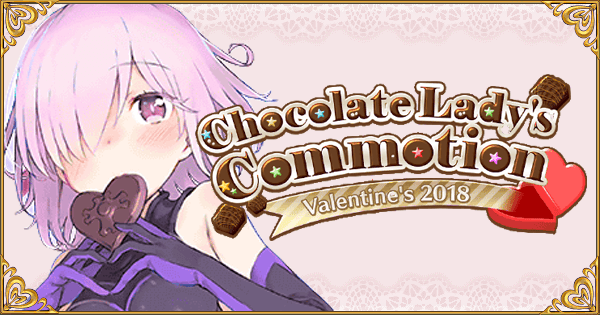 All Valentine's CEs cost x150 Coin Choco of the Servant's matching Class. Valentine CEs will only be available for Servants in the Master's roster. Other CEs will not be shown in the shop. Only one copy of each Valentine's CE can be received. 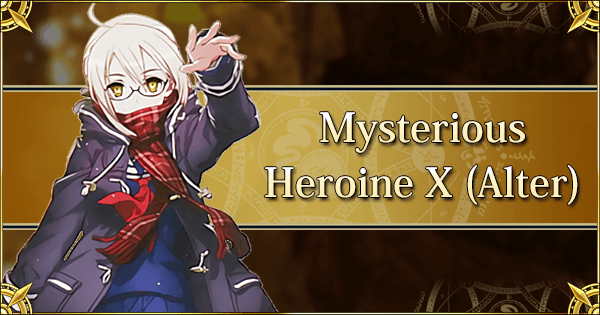 Masters cannot obtain a duplicate of a Valentine's CE if it is already in the inventory (from the previous Valentine's event). 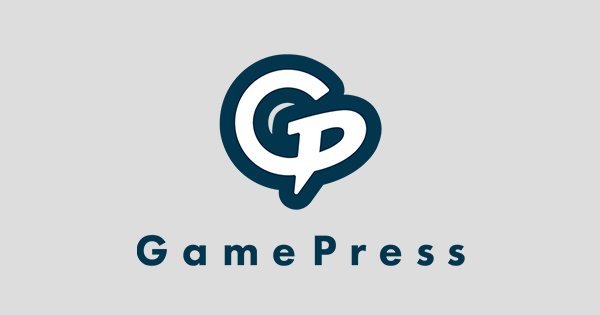 However, if the CE is used (for EXP or burned), ONLY one copy can be purchased again if it has not already been purchased. Valentine's CEs are primarily for collectors, and are meant to represent a Servant's affection or appreciation. For the Valentine's Event only, Valentine's CE gifts from Servants boost Choco Coin drops for the same class as the Servant who gifted the CE by 2. When burned, Valentine's CEs are only worth 5 QP (and nothing else), so it is not worth purchasing a copy to burn it, nor is it worth burning a previous copy and purchasing a second copy. The same number of coins (x150) is worth 300,000 QP from the Event Shop. Using them for CE EXP is less wasteful, but is still only worth 30,000 CE EXP (which is a standard 4* EXP CE's value).